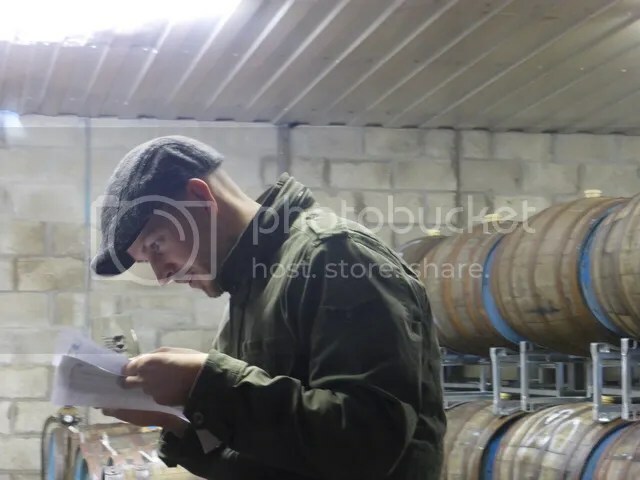 The reason for me being in Aberdeen?.A group of journalists, writers and bloggers were invited to visit BrewDog to see the brewery, talk to the founders and sample their beers. Not bad at all. I’m not going to retell the BrewDog story once again. Eight years on from modest beginnings they have created a household name across Europe. They expect to brew 16 million liters this year, but they keep expanding, and with the new facility opening later this year, they will have a capacity of 40 million liters. 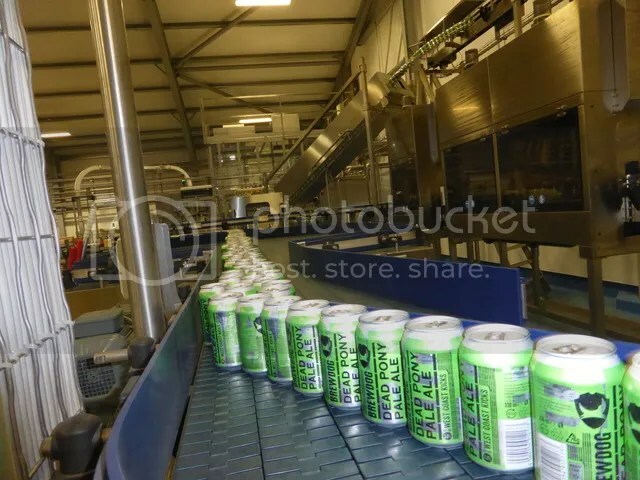 A new canning line was being adjusted while we were visiting, and the automated packaging makes the more tedious part of the process less manual. And it’s become a sizeable company, 150 working at the brewery and in the administration, 400 in total if you include the bars. The details: The brewery is spotless, from the huge grain silos to the small pilot brewery. There is an in-house lab, there is a tasting panel, there is a tireless quest to make sure the beers are not only consistent, but that they keep improving. And there is still the youthful spirit of trying out the new. While the Punk IPA is making up much of the volume, there is still the steady stream of new beers, some of them exclusive, some experimental. We sampled the wonderful IPA Born to Die 04.07.2015, fresh from the bottling line, where the best before date is the main selling point, underlining the point that fresh IPAs are for drinking, not for cellaring. On the other hand, glass in hand, we walked up the road to their barrel aging facilities, where an amazing range of beers lie maturing in their oak casks and a lucky few keep sampling which ones are ready to be released as they are or blended into something new. The people: James and Martin, the duo behind the company from its humble beginnings, are still in charge, and they had set aside plenty of time to talk to us. Eight years on, they still seem to have great fun. 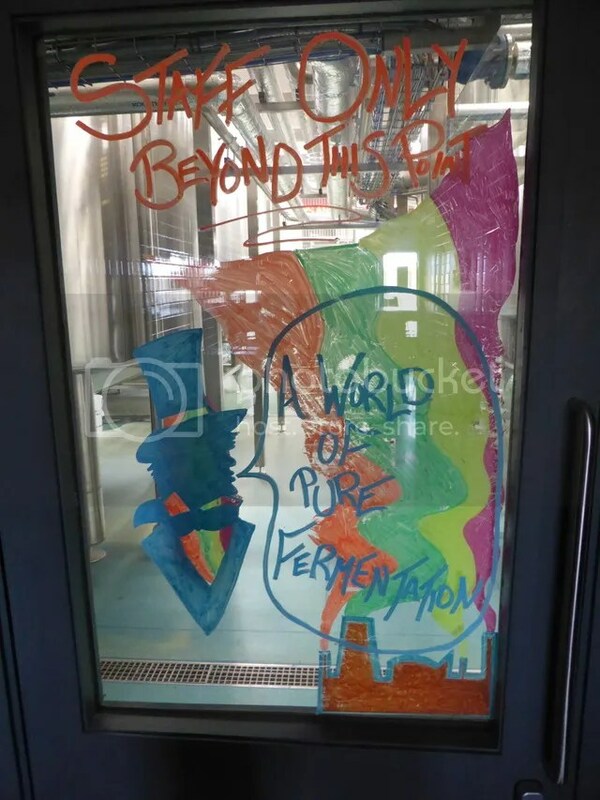 It’s been amazing story, I am fond of retelling the tale of a ratebeer gathering in a cellar under a pub in Glasgow in 2007 where two rather nervous young men were presenting their first two beers, Punk IPA and Rip Tide. The bottles did not even have labels at the time. Now they are running a huge company, evoking strong feelings for and against their public image. They do not seem very concerned that some camps have strong negative views against them, but they were very pleased that my British colleagues told them that they have an impeccable reputation for taking care of their staff, training and mentoring them and making them able to do their job in the best possible way. 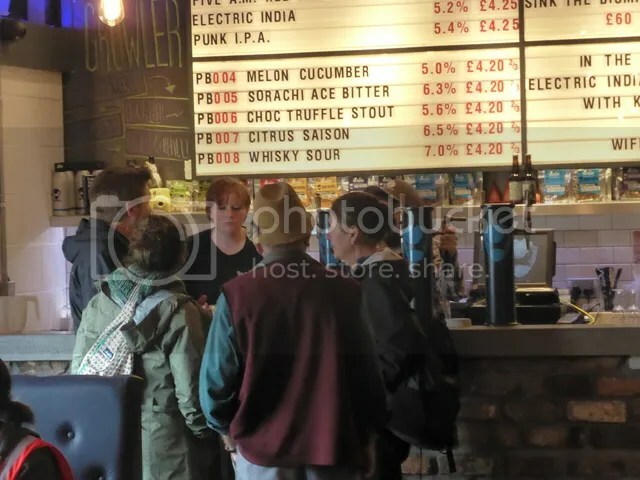 This includes the ones working in the BrewDog bars, these are places where the customers can be assured that the staff knows a lot about the beers they serve and that they can make good recommendations. If you are in the Aberdeen area, the brewery, in Ellon, North of the city is open for tours, or you can just visit the Dog Tap bar and brewery shop. There are buses from central Aberdeen. 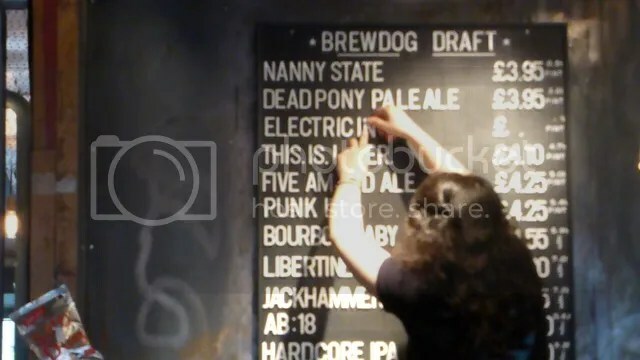 There is a BrewDog bar in central Aberdeen, too, with a very decent beer list, including guest beers. Very lively on an early Friday evening, nice to see that the crown was farm more mixed than I expected, with women and the above 40 age bracket well represented.